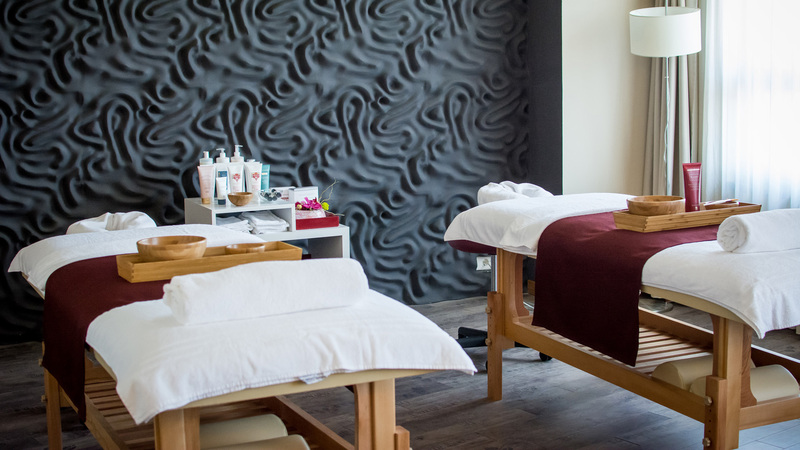 The interior follows the path of a wine tasting, starting with Decantarium Lounge, where you can enjoy a fine selection of wines, continuing with Aroma, Body, Balance therapy rooms and ending with Premier Cru, reserved for facial treatments. 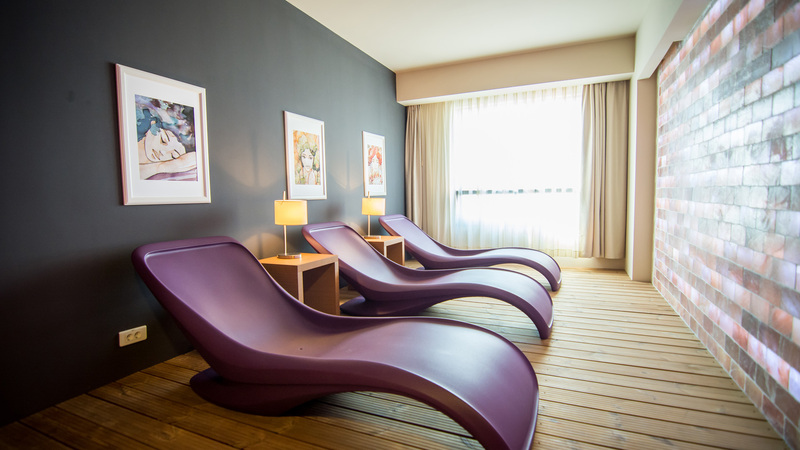 Magnum Room is designed for tandem treatments, for those who want to share life’s little pleasures. 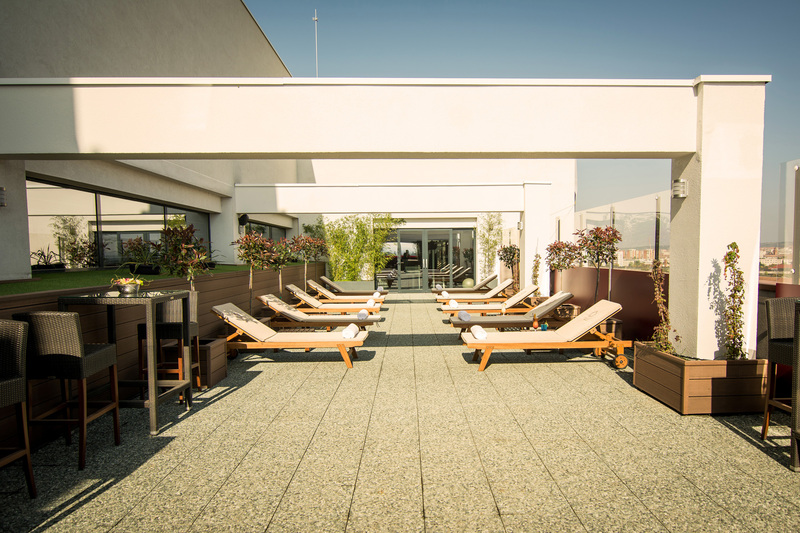 The Riserva Terrace offers a wonderful panorama of Oradea’s old city, which we recommend you to enjoy next to a glass of wine, straight from the jacuzzi. Life’s small pleasures become even more intense when shared. Therefore Magnum room is highly recommended for couples. Whether you choose a tandem relaxing massage, a purifying treatment or simply wish to share with your beloved a glass of Champagne in the Jacuzzi, Magnum is the ideal spot for a romantic escapade. The 28 jets combining water and air will massage your muscles. relieve your stress, better your sleep and will stimulate your blood flow. And the old town panorama will leave you breathless. 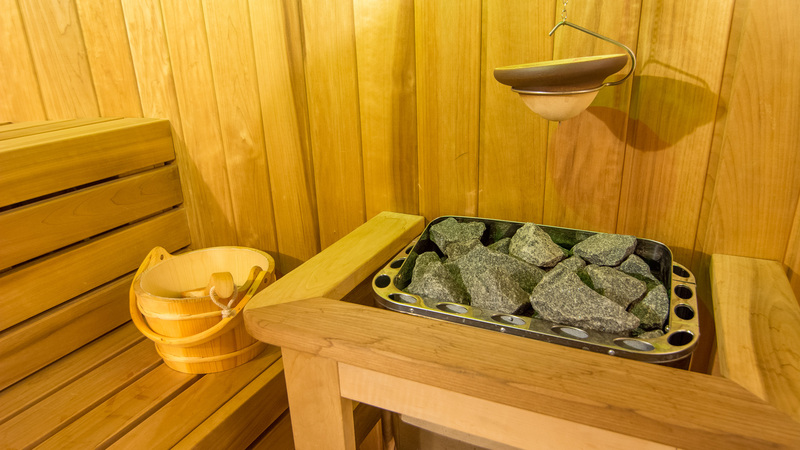 Finnish sauna stimulates blood circulation, increases immunity, tones the skin, helps treat respiratory infections. Infrared sauna, the friendly alternative to the Finnish sauna, enriched with Himalayan salt. 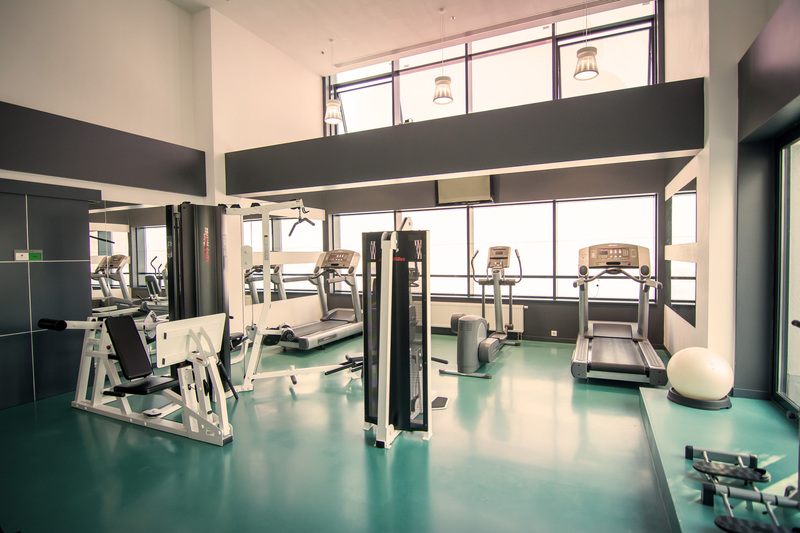 Take advantage of cardio, strength and weight training equipment by Life Fitness. 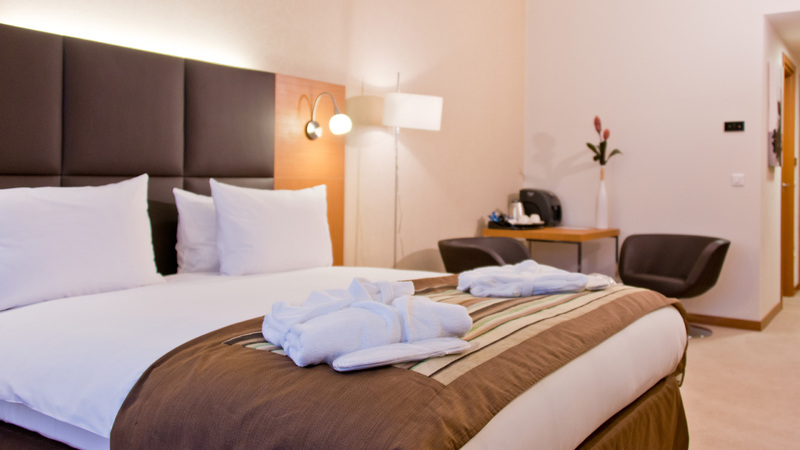 Located on the same level with Riserva Wine Spa, the rooms provide additional facilities such as: wine, fruits and water upon arrival, free high speed WiFi access, coffee and tea facilities, laptop safe deposit, SMART TV, private bathroom with robes, bath items and 10% discount for any treatment booked in advance. For special packages please CLICK HERE. 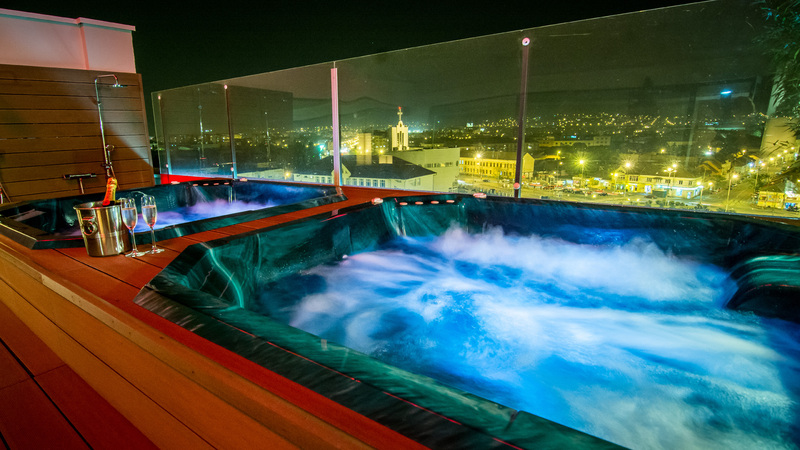 Riserva Terrace offers you a breathtaking panorama of Oradea’s old city, which you can enjoy better next to a glass of wine in the jacuzzi. The terrace is also available for private events.